Welcome to Strawser Art on the world wide web. 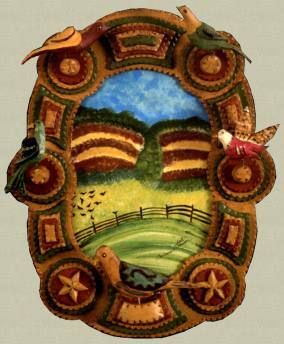 Come in and learn more about our family of Pennsylvania German Folk artists. We like to pour our hearts and souls into hand made artwork reminiscent to that of early America. Tour about the site and see paintings, carvings, trampart, etchings, turnings, and more. Some people call it work, but we know we'd rather be doing this than anything else in the world. Enjoy what we were put here to do. Come see our work in person, visit with us at a craft show near you. Sign up for our mailing list, see the work of our friends, or send us an email and let us know what you think about our site.